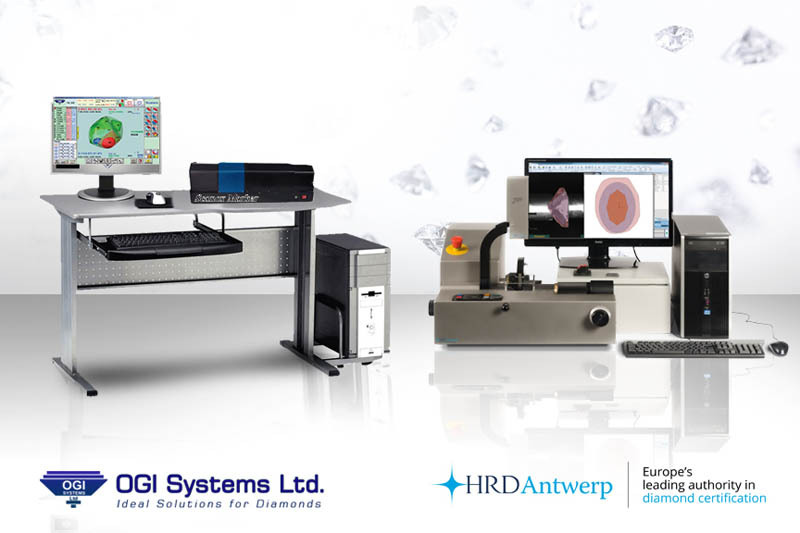 OGI Systems Ltd., one of the leading providers of diamond manufacturing solutions, announced the completion of a successful collaboration with HRD Antwerp, the leading European gemmological laboratory, a subsidiary of the Antwerp World Diamond Center (AWDC), to facilitate interoperability between Ogi’s Scanox Marker and HRD Antwerp's EOS Fancy bruting and girdling systems. OGI’s Scanox Marker is the ultimate solution for planning & marking rough diamonds' in minimum time with maximum accuracy. The system contains HD technology that allows High Resolution mapping of the inclusions and rough surface. The output of OGI’s Scanox Marker can now easily be imported into HRD Antwerp’s Eos Fancy diamond bruiting system, significantly reducing the room for error while eradicating the need for evaluating the best bruting and planning options during the cutting process. “We are very pleased with this advanced integration with the EOS Fancy and profoundly believe that the facilitation of this automated result exchange between the two systems will significantly improve the overall diamond manufacturing process while enhancing profitability” explains Dani Benjano, CEO at Ogi Systems.